Not all our readers have met us face to face yet, so we continue the series of interviews introducing the Brno Expat Centre crew. 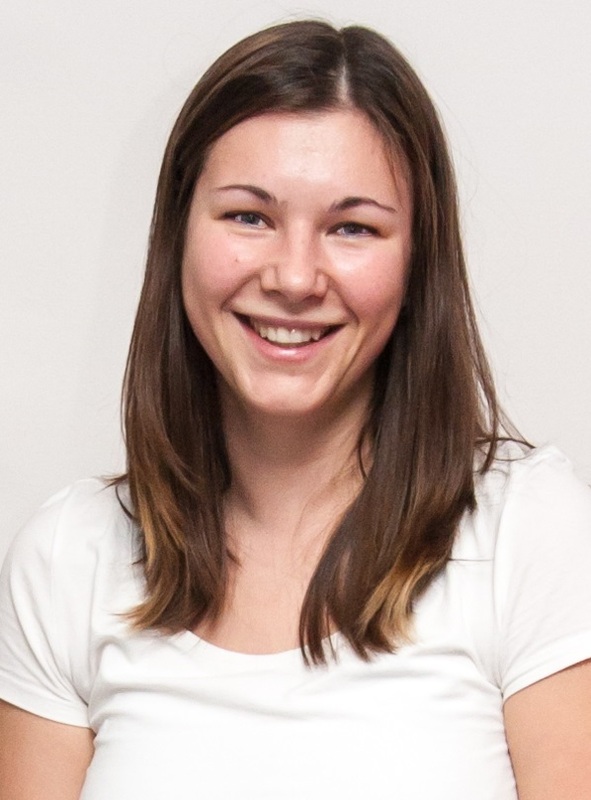 This part presents Anna – our web editor and media relations specialist. You are another member of our team who calls herself a traveller. Where does your passion come from? That is something you are born with, I have an adventurous nature. Combine it with love for the English language, interest in geography and curiosity about the world, and you have got a traveller. You lived in the USA and New Zealand for some time. What local practices or habits would you like to see in the Czech Republic? I wish there was more kindness in the Czech society. In the USA, as well as in New Zealand, it is common to make eye contact and smile when passing a stranger. People are warmer there. Walking through life, that makes a huge difference. Another thing I would like to bring here is the customer service. It is on a whole different level abroad. Treating the customer with more class here would be awesome. It is slowly getting better, though. Most of the little things I enjoyed when travelling I can now obtain in Brno, too. In the USA it was for example a peanut butter and jelly sandwich or Jon Stewart’s Daily Show. A little more difficult to find here is what struck me most about NZ – how relaxed life was there compared to hectic Europe. You grew up in Brno, then travelled some and now you have been back for about a year. What do you like most about living here? I like that it is familiar. There is nothing like a hometown. I can walk through my childhood neighbourhood and look at the trees I used to climb. So many memories at every corner. Then of course I have my family here. I like that I can see them every week, and not just through Skype. I used to think I could live abroad but now I realise it is good to have your family close at hand. Last but not least, the Czech language. I couldn’t do without it. Is there anything you know foreigners miss here? Definitely friendlier shop assistants and other professionals working with the public who would be able to speak English. Besides that, I recall my expat friends mentioning the lack of public bathrooms. How do you look back at your one year working for the Brnopolis and BEC? What perspective can you see for its further development? What a blast! I remember back in NZ when I knew I would be leaving soon and should start looking for work back home, I contacted the BEC thinking it would be my dream job. It really is very cool working for an organisation you believe in and for people you value. I think it could be good for the BEC to try and get in touch with similar centres throughout Europe, to also grow internationally after 4,5 years of existence in Brno. You have also been a member of our TEDxBrno team and attended several TEDx events in three different countries. What do you find unique and valuable about TEDx and people around it? In the best way possible, people around TEDx are crazy. In the TEDxBrno team I can see it distinctly. They are people who sacrifice a lot of their free time and mental capacity to voluntarily organize an event that presents uplifting ideas and offers people progress and hope. That itself is quite unique and valuable. What difference did you experience as a journalist writing for a newspaper in New Zealand and the Czech Republic? On my work experience for a regional newspaper in New Zealand, I was surprised to see that it was actually very similar to working as a journalist in the Czech Republic. The one difference was the working language. I was shocked to find out it was easier for me to write in English. I think it is because Czech is such a florid language and my mother tongue in which I naturally have a greater vocabulary, so I think harder about what words to go with. As an editor of the BEC blog you have introduced two expats writing reviews. What is the public reception of the food/movie reviews and do you see any further potential for the expat community to get involved and publish their thoughts? Both the food and movie reviews belong among the most read articles on our blog. I think it is great that the BEC, besides providing useful information on daily living issues in Brno, also opens up to the expat’s point of view. As long as the content provided is of quality and utility, I would love to see the expat community keep contributing to our blog. Anna Sedláčková was born and raised in Brno. She majored in media studies and journalism and has worked for several online and print newspapers both in the Czech Republic and abroad. After graduation she travelled in the USA and New Zealand for 2 years where she learned e.g. how to make cappucino foam or carry three plates. And also that hiking in the mountains can solve anything. In her spare time she enjoys reading, the theatre, cooking, all sorts of sports, and the outdoors. Read interviews with other BEC crew members: Jan Kopkáš, Vlastimil Veselý, Lucia Konôpková, Don Sparling, Katka Báňová, and Roman Schwanzer.